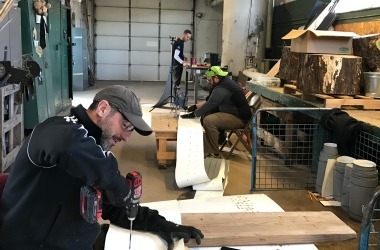 Spring Training @ the Conservatory! We're hitting it out of the park this year with our baseball-inspired show! The Spring Flower Show marks one of the most colorful times of year at the Conservatory, which is saying a lot for a building filled with tropical plants and flowers! This time of year the Show House is filled with hundreds of plants, each supporting anywhere from one to fifty flowers in all colors of the rainbow. In addition to our featured azaleas, tulips, snap dragons and camellias, this year’s Spring Flower Show celebrates baseball in Chicago! Got a question about your photo or interested in ordering prints? Email our photographer, Brian, at bk@briankinyon.com. On the heels of the Cubs’ World Series win, our annual show incorporates icons of Wrigley Field! Mixed in among the blooms you can find a few foul poles, iconic ivy-covered walls, and even a few ‘W’ flags. Check below for more information on each feature and bring the new Spring Training Scavenger Hunt on your next visit! 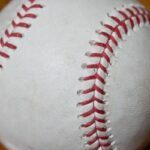 Baseball Trivia Challenge: Scroll down to the bottom of this page for a few tricky baseball trivia questions – how many did you know? Let us know @gpconservatory and #GPCSpringTraining! In 1934, with thousands of tickets to sell each game day, William Wrigley, Jr. came up with a clever way to advertise tickets: a grand marquee at the entrance of the park on Clark and Addison. 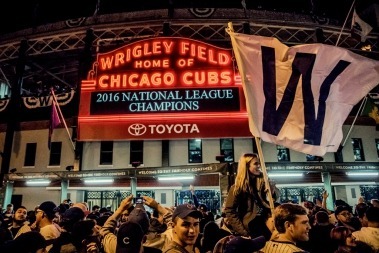 What started as a glamorous billboard slowly became a part of the Cubs’ tradition and is now a celebrated and beloved icon for Cubs’ fans. Snap a selfie in front of our marquee! 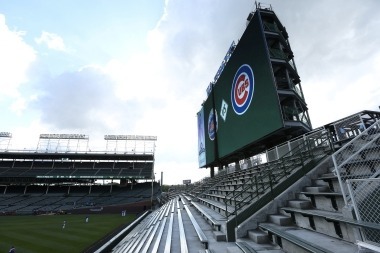 Since its construction, Wrigley Field has gone through several renovations (and name changes!) to add more seating for excited fans. In 1914, as Weeghman Field, it held 14,000 fans. In 1923, as Cubs Park, it was enlarged to seat 20,000 fans. By 1926, it was renamed Wrigley Field and its capacity nearly doubled to just over 38,000! In the 90 years since, only 3,000 more seats have been added, for a total of 41,268 seats. In 1937, then-owner P.K. 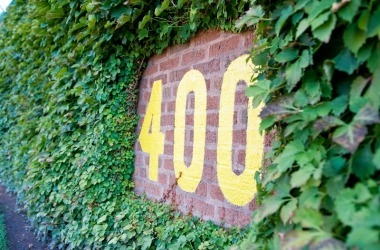 Wrigley made 2 radical decisions that would define Wrigley Field for years to come: first, he built a brick wall to separate the grandstands from the field, and then, in a stroke of genius, planted Boston ivy and bittersweet all along the wall. His reason? To make the stadium more park-like to impress visitors and investors alike. As the second oldest baseball stadium in America, Wrigley Field has had a lot of unique and interesting people contribute to its long history and varied traditions. While all may be remembered, only a few have the honor of being memorialized within Wrigley Field. One such person was broadcaster Jack Brickhouse, who managed to keep spirits high for the “loveable losers” during the Cubs’ longest and worst stretches of play between 1948 and 1981. 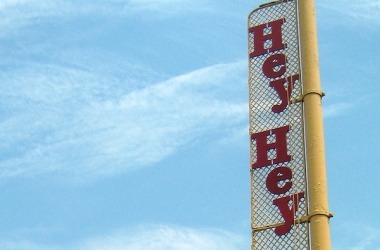 Each foul pole is marked with the words “Hey hey,” Brickhouse’s signature saying each time a home run was hit out of the park. The Wrigley family made a lot of decisions in the 1920s and 30s that are now hallmarks of Cubs’ tradition and culture: ivy-covered brick walls, the marquee, and of course, the stadium name, Wrigley Field. 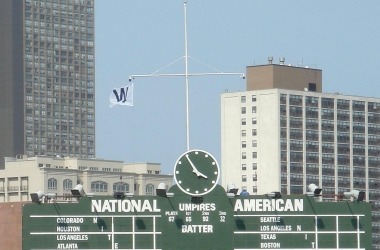 The Wrigley family also started the “Fly the W” tradition. 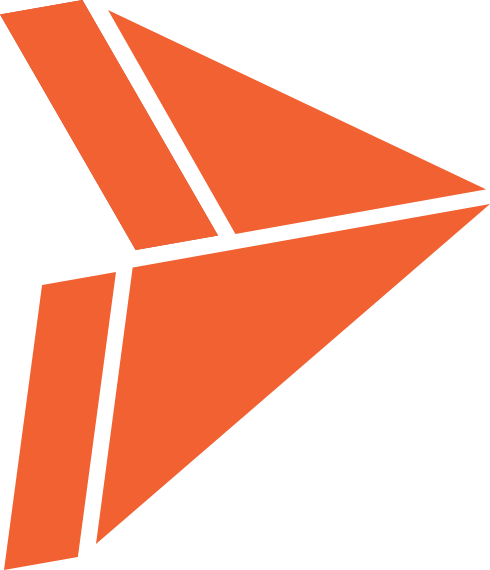 As long-time boaters, the Wrigleys were familiar with the use of decorative flags on boats to help communicate and identify one another. They transferred this to the field with a white flag with a blue ‘w’ to signify a win and a blue flag with a white ‘L’ to signify a loss. This 80 year old Cubs landmark is still in operation to this day with hand-operated scoring and digitized batter information. P.K. Wrigley hired nearby engineering students to help ensure that the 27 ft by 75 ft behemoth was securely anchored in center field above the bleachers. Our recreation is only 8 ft by 16 ft and is not even one tenth the size of the original! 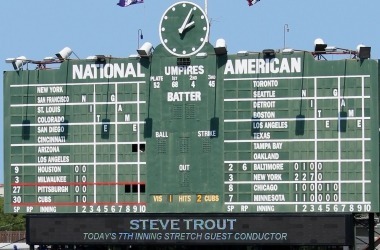 Do you notice anything special about our version of the scoreboard? 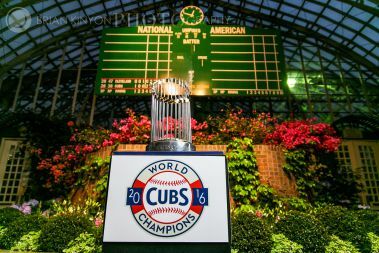 In 2016, the Chicago Cubs won the World Series for the first time since 1908 (the same year the Conservatory opened!) and claimed their first ever Commissioner’s Trophy in a 3 game comeback against the Cleveland Indians. This nearly 30 pound trophy stands 2 ft tall and boasts 30 pennants (or flags) that represent the 30 baseball teams in the National and American Baseball Leagues. At the Conservatory, we made our own version of this historic prize with 30 PVC pipes spanning 8 to 15 ft tall. Baseballs are complicated. Not only are they made up of a combination of cork, rubber, wool, cotton and leather, but each one also has 108 double red, wax stitches that are always stitched by hand! Can you believe it? To this day, they still haven’t figured out how to make a machine that can accurately stitch a professional baseball. To honor these compact works of art, we decorated our center flower bed with a few hundred of our own hand-made red stitches. Did you notice the shape of the center flower bed? It’s shaped like one of the leather pieces used to cover a baseball! 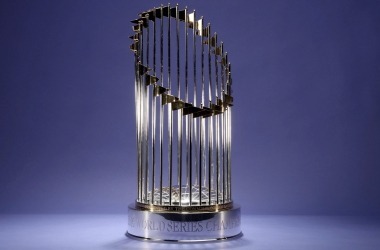 Since the tradition began in 1967, each World Series winning team has been awarded a new version of the Commissioner’s Trophy. How many trophies have been awarded since then? There are 46 Commissioner’s Trophies in existence – one for each year, except 1994 when there was a strike and the World Series did not take place. From 1920 to 1970 another team’s name was painted onto the Marquee in the fall of each year. Can you name that team? The Chicago Bears! Believe it or not, the Bears played over 50 years of football at the Friendly Confines before moving to Soldier Field in 1971. 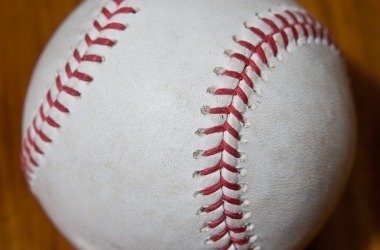 What is the average lifespan of a professional baseball? A professional baseball only lasts for an average of 6 PITCHES before it is removed from play. Wrigley Field is the second oldest ball stadium in Major League Baseball. What's the oldest baseball stadium? The home of the Boston Red Sox, Fenway Park, is the oldest baseball stadium in Major League Baseball. It took only one year to build and opened on April 20, 1912. Why is it called Fenway Park? The plot of land it is built on used to be known as “The Fens”, hence FENway Park. What was the first ballpark to let fans bring foul balls home with them? None other than Weeghman Park, or as it’s now known, Wrigley Field! Then owner, Charles Weeghman, wanted to show off his wealth by allowing fans to take fouled balls home. Before this fans were expected to return all foul balls as baseballs were an expensive commodity. Bill Veeck had a long career behind the scenes in baseball. Besides planting the ivy at Wrigley, how else was he involved in MLB history? Bill Veeck signed and fielded the first African American player, Larry Doby, to the American League in 1947, led the Cleveland Indians to victory in the 1948 World Series, owned the St. Louis Browns which are now the Baltimore Orioles, and bought a controlling interest in the Chicago White Sox. Veeck was instrumental to establishing White Sox traditions, as he was the one to come up with the “exploding scoreboard” each time the team won.